The Hansgrohe 04354820 is an Ecostat S/E Trio/Quattro diverter trim. It comes with a brushed nickel finish, a lasting finish that gives metal a unique look, eases cleaning procedures, and gives a pattern of very fine lines. It is also available in a chrome finish. 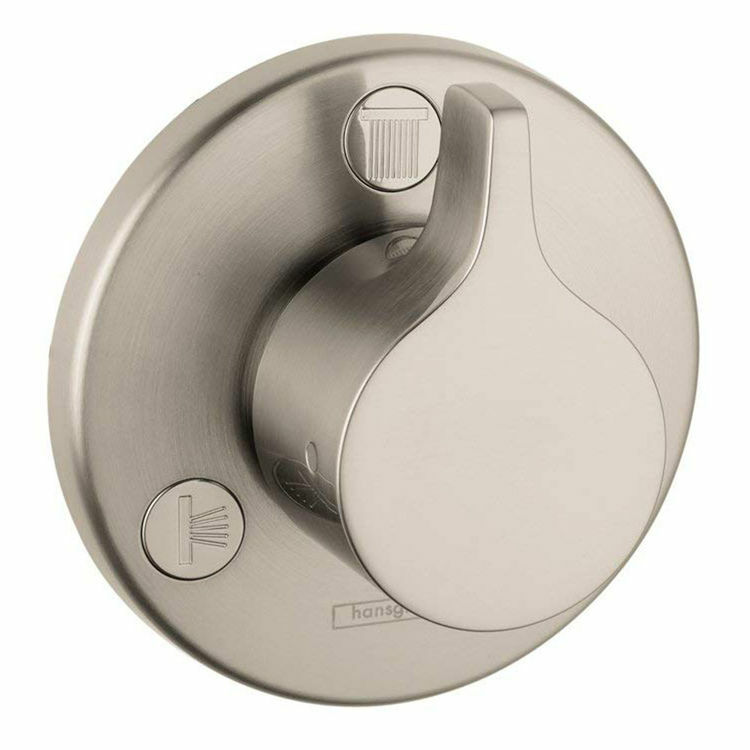 This diverter trim comes with a handle, a sleeve, and an escutcheon. 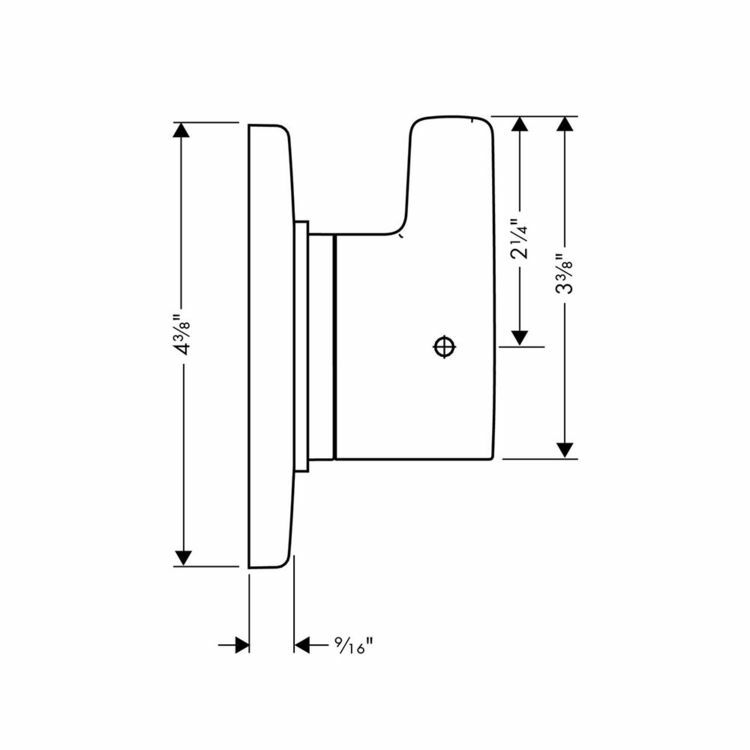 Must order the following when buying this product: Quattro 3-way rough diverter, " (#15930USA), Quattro green rough 3-way diverter (no shared function), " (#15936USA), and the trio 2-way diverter without a shut-off, " (requires a volume control) (#15984USA). Please see the specification sheet for more details. Since 1901, Hansgrohe has provided high-quality products for bathing, showering, hand washing, and more. Their beautifully designed products are made in Germany. Here at PlumbersStock, we guarantee that you have access to the highest quality products and resources at very affordable prices. We pride ourselves in striving for excellence in every aspect of what we do. Shipping Dimensions 5.1" x 4.3" x 2.6"